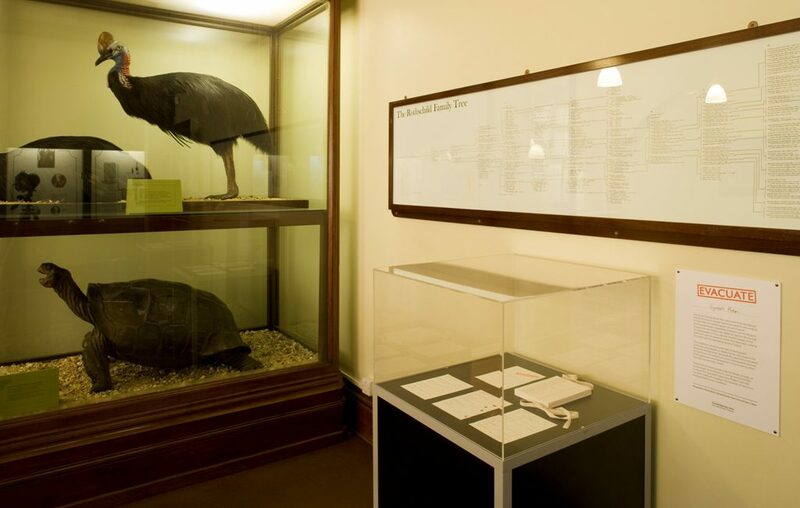 Evacuate resulted from a residency at the Natural History Museum, London and Tring, where I researched the evacuation of insect, bird and mammal collections from the Museum to 25 stately homes and country houses throughout England during the Second World War. 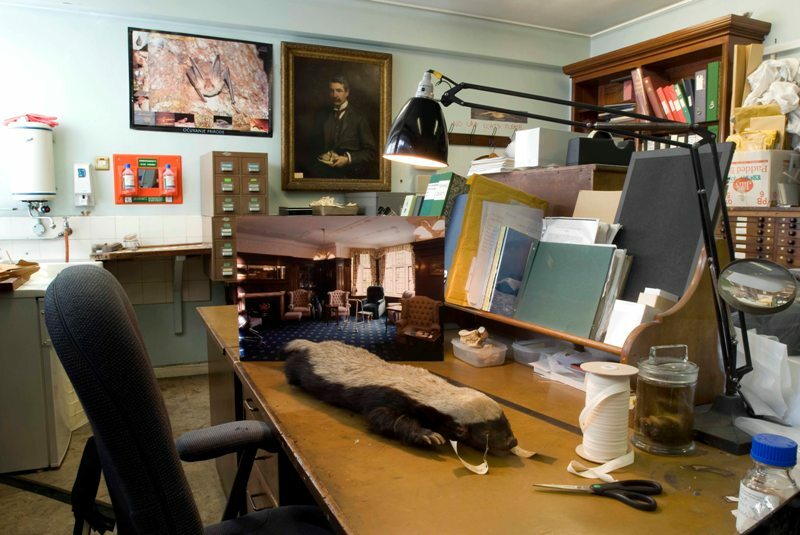 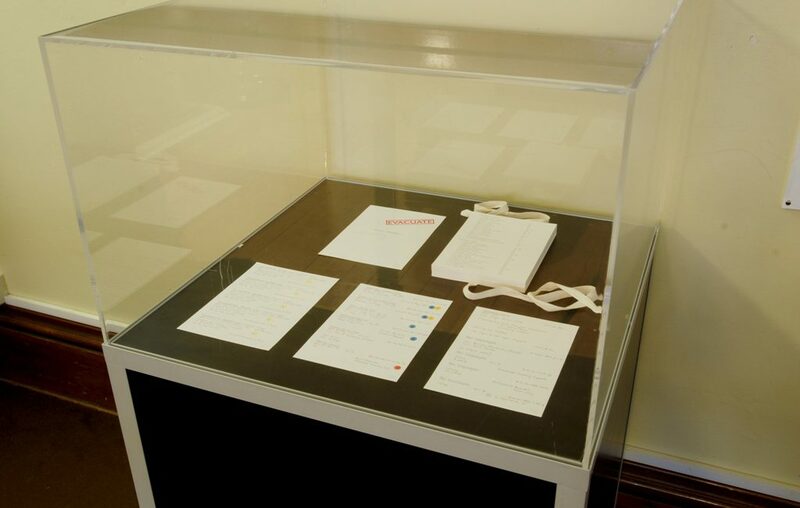 The work comprised two series of photographs, which reunited specimens with the places to which they were sent. 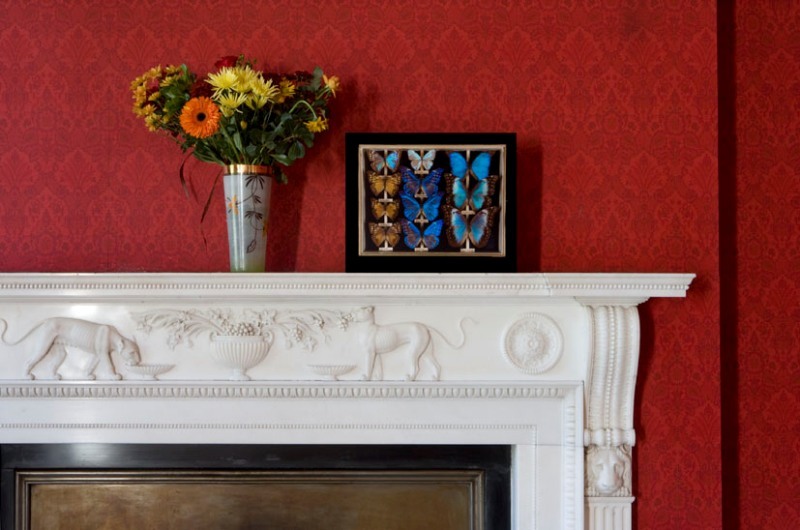 In the first series, photographic portraits of the specimens were re-photographed in the houses to which they were re-located. 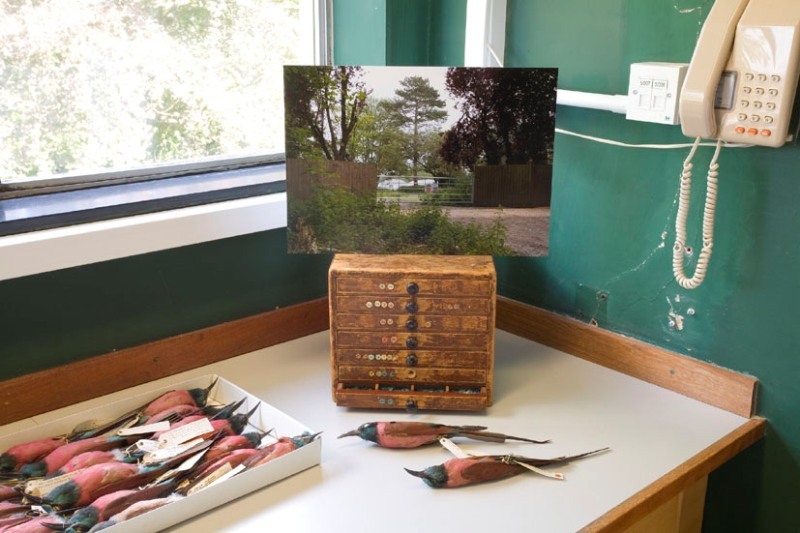 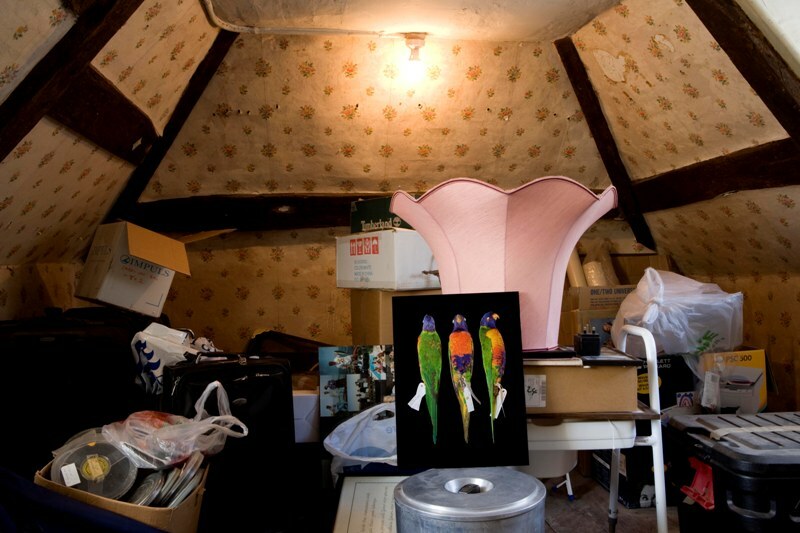 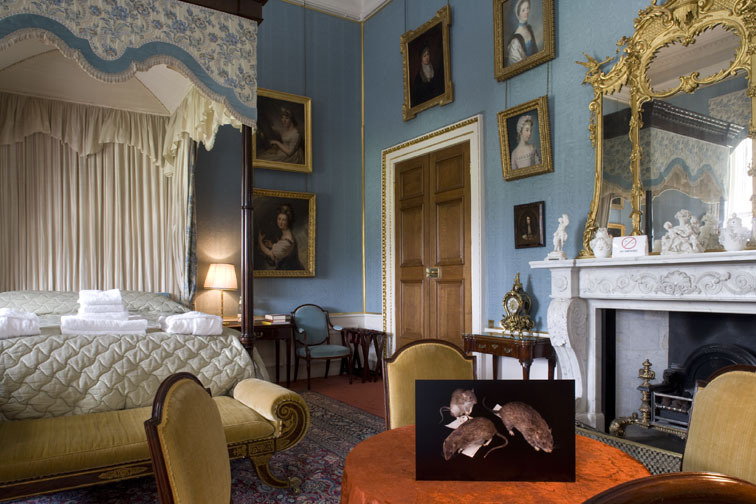 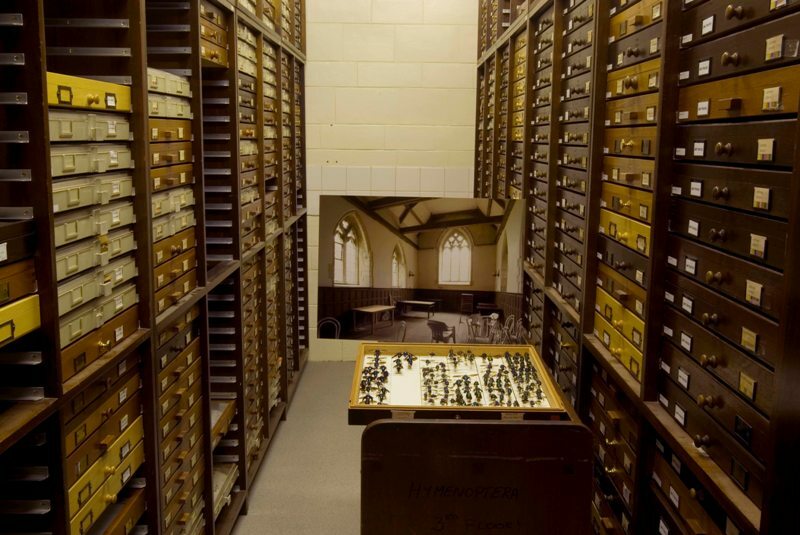 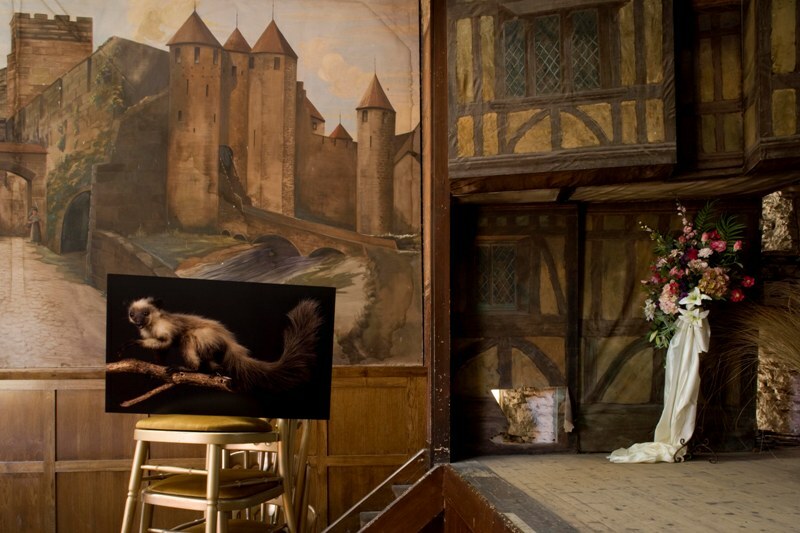 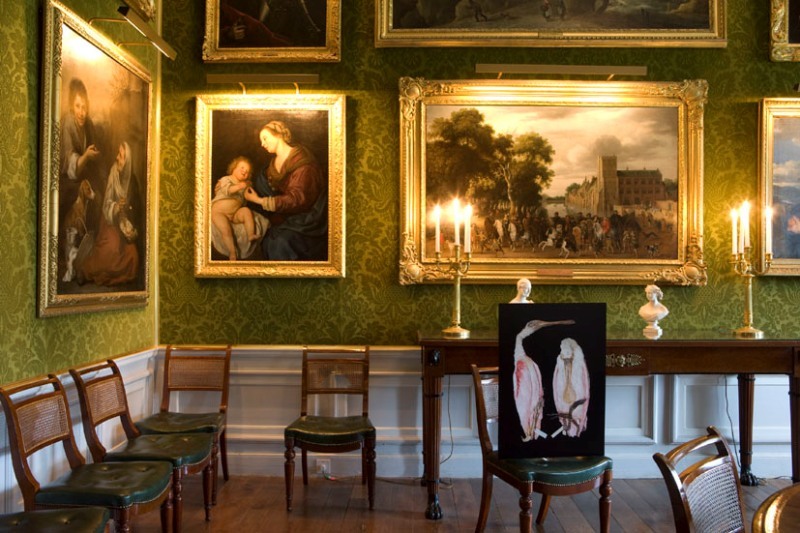 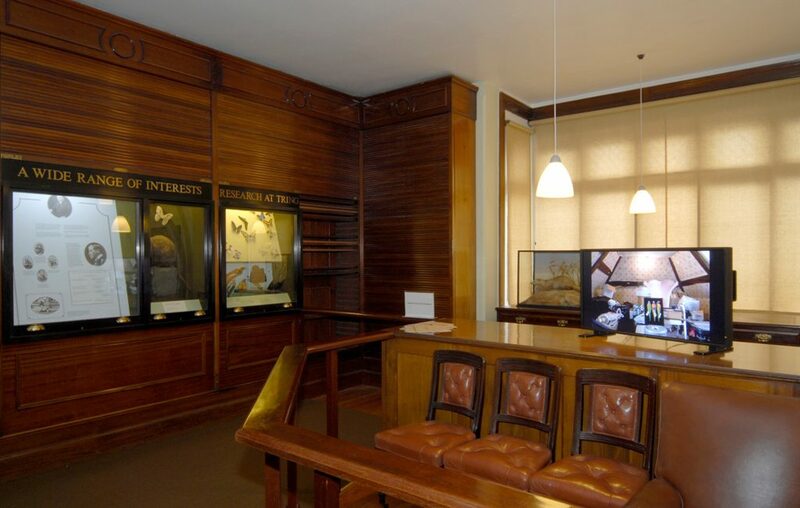 The second series sees photographs of stately homes placed in the Museum’s collection areas, alongside the specimens which were evacuated to that house. 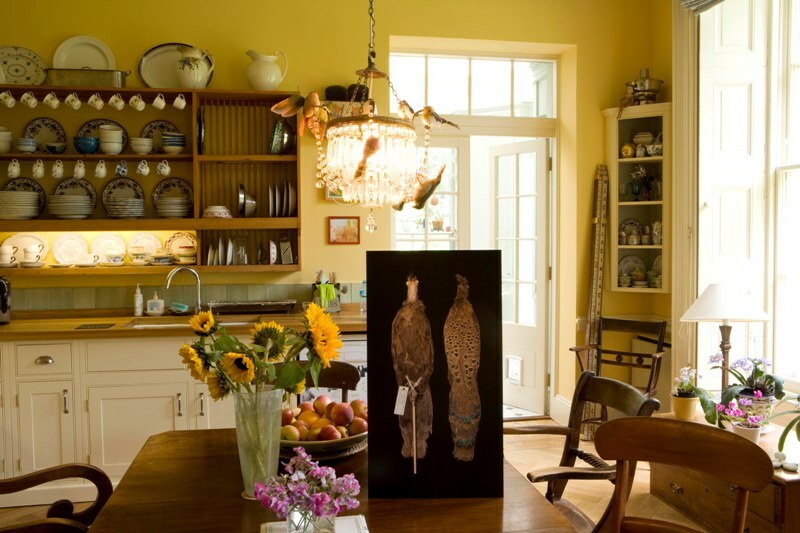 Historically, the owners of these houses were from affluent families, who may have been involved in the hunting of animals for sport, or collecting for amateur scientific interest. 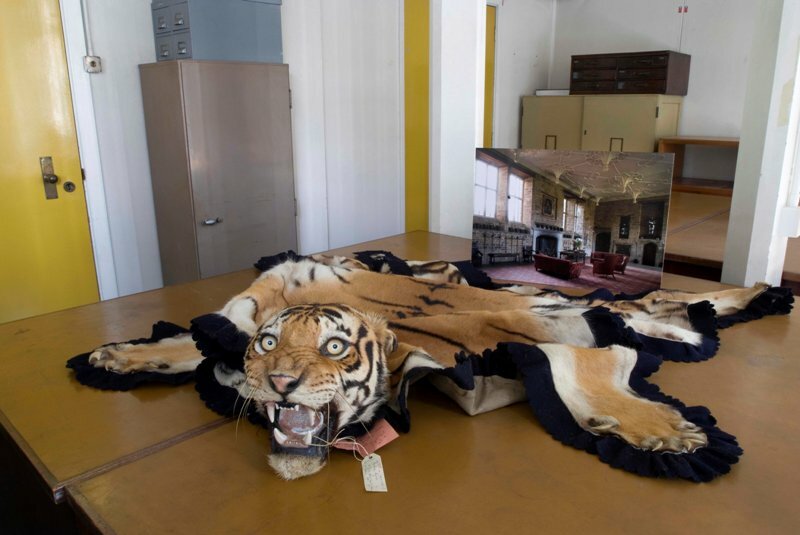 There is a certain irony about these families protecting specimens, which in the past, might have been displayed as trophies on the walls and floors of their houses. 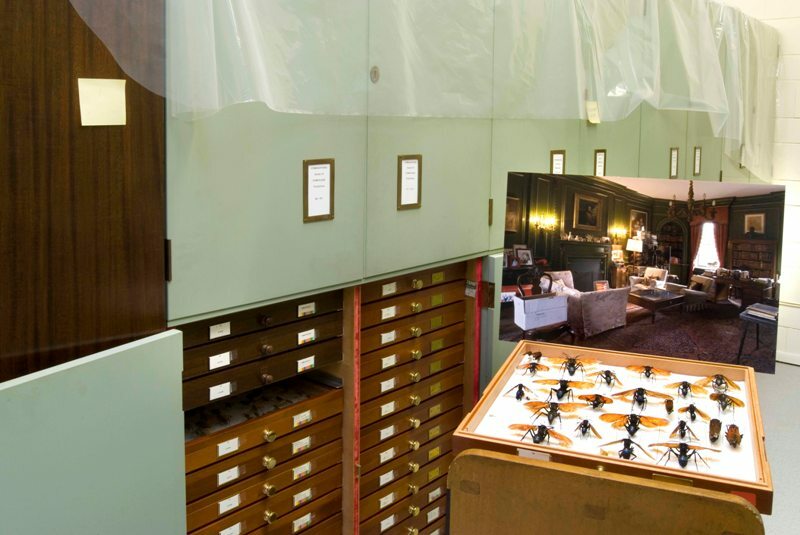 Alongside the photographs I recreated a book by Herbert Stringer, one of the Museum’s entomologists, to record evacuated microlepidoptera (smaller moths) specimens. 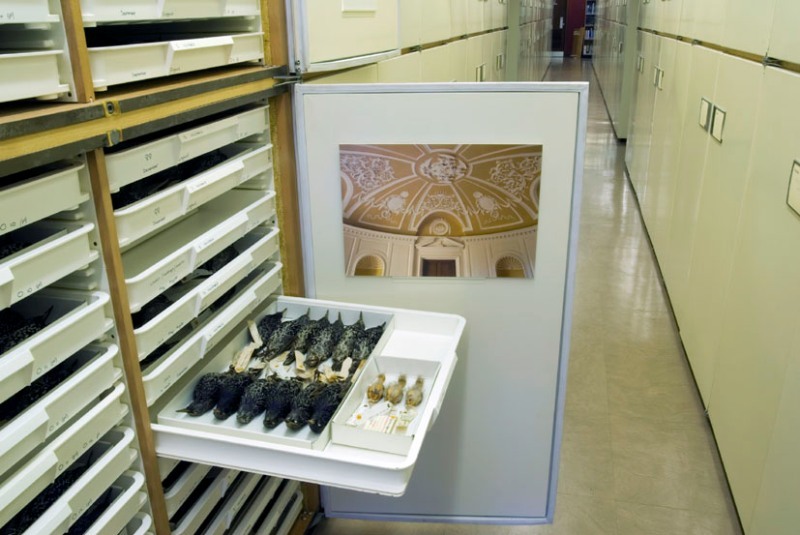 My book uses similar criteria to catalogue the hundreds of specimens photographed for Evacuate.